Three-time Clam Chowder World Champion! 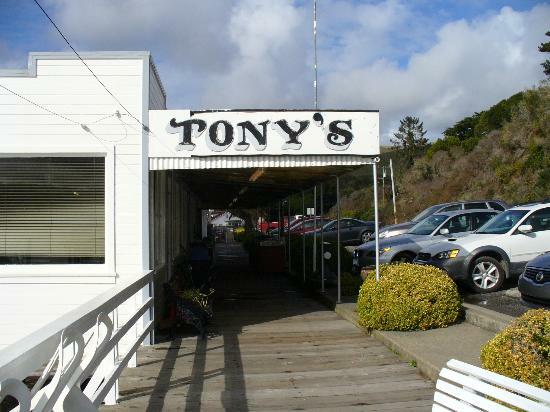 Tony's Seafood Restaurant opened its doors in June of 2005 on the small island city of Cedar Key, three miles out in the Gulf of Mexico. Featuring fresh gulf seafood, Tony's 54-seat eatery in the historic downtown area of Cedar Key first introduced its famous clam chowder after being open just one month. Chef Eric, Tony's founder and owner, created the amazing recipe right in Tony's tiny little kitchen while working on a variety of other new dishes. Eric lived in the New England area for 12 years back in the 80s and sampled chowders all over the Northeast region. Thus was created what soon would become a clam chowder icon and the greatest champion of the international clam chowder championship.